Home » Protein » 310 Shake Review – Way Too Pricey To Be Any Good! 310 Shake is basically a meal replacement. It comes in powder form and contains a ton of protein, fibers, vitamins and minerals... Pretty much everything you need from a meal. But, is it worth the extremely high price? Find out that and more in the review below! Try Phormula 1 instead for a better option! We haven't seen a lot of good shakes recently, and it seems to me that story will continue even with this 310 Shake being released. That's not because this is a bad shake with faulty ingredients. No, it's nothing like that. It's not that good price-wise… but we'll talk more about that later on in this 310 Shake review. For now, let's just say It's basically a meal replacement powder that comes rich with healthy nutrients for our bodies. It has all the essentials we need from a proper meal like proteins, fibers, vitamins and even minerals. With a wide variety of flavors to chose from, it is definitely going to attract lots of potential buyers. The question remains – will its high price tag drive them away? Find that out and more by reading the full review! Well, as far as shakes go, 310 Shake is as standard as it can be. It has no additional effects nor benefits, it just serves one simple purpose – to provide you with all the essential nutrients that you would need from a regular meal. It delivers roughly 90 calories per meal which should be enough to saturate your hunger until the next one. Still, the folks over at 310 Nutrition did not do a very good job with the ingredients. You see, they haven't mentioned any studies that vouch for the quality of some ingredients, leading me to believe it's not such a potent shake. Luckily, there's plenty of flavors to choose from which has to be one of the key selling points for people interested in meal replacement powders. Proteins are complex molecular structures which play many key roles in our bodies. They are made up of amino acids and serve a wide array of functions in order to keep our body up and running. A healthy diet consists of high-quality proteins which ideally results in muscle growth. Vitamins represent various organic compounds. They are essential not only for our nutrition but for all animals and even some plants as well. Among other processes, they regulate metabolism but don't provide us with energy. Some of them are produced naturally by our bodies while we gain others through various sorts of foods. Fiber, commonly found in fruits and vegetables is widely known for its ability to prevent constipation. In addition to that, fiber can also have other healthy benefits such as weight loss. Moreover, it's even known for lowering diabetes and heart disease risks. What side effects 310 Shake causes? Luckily, 310 Shake doesn't seem to cause any side effects on its own. Keep in mind that problems might occur if you're allergic to some of the vitamins inside. If that's the case, it might be a good idea to first assess your tolerance before attempting to fully indulge in this powder. Now that you know more relevant information about the insides of 310 Shake, it is time to take a closer look at what it's users have to say about it. Warning – some of these are highly negative so it might be a good idea to invest in another product that's more likely to work. The final thoughts on 310 Shake? And now comes the part where I have to give the final verdict on this supplement. It's not as easy as it is with most other supplements. Why? Well, it's not only because there are diverse user's opinions but because I doubt it provides us with good value for money. I mean, it costs roughly $136 per month if you're going to use this to replace 2 daily meals. That's just too much for a protein-rich meal replacement. 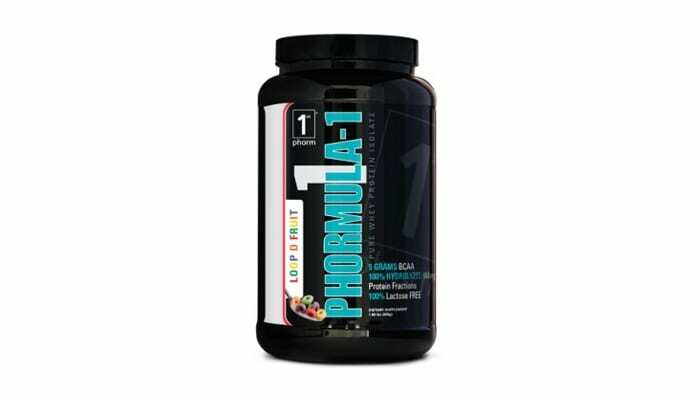 There are plenty of much better options available on the market, like Phormula 1 by 1st Phorm. They represent complex molecules that have a plethora effects in our bodies. High-quality proteins are a common occurrence in the bodybuilding market as they help athletes get their bodies in the best possible shape (and health). Mainly found in vegetables, fruits and whole grains. Fibers are known for their constipation-prevention ability. Additionally, they are also good when it comes to lowering blood cholesterol (and glucose) as well as lowering weight and decreasing diabetes and heart conditions. A wide array of essential organic substances. Our bodies use vitamins for all sorts of processes and they are essential to the normal functioning of our organs and our immunity to diseases. Make sure you're not allergic to some of its ingredients. When it comes to 310 Shake, the most potent alergens are definitely vitamins. If you're allergic to some of them, please make sure to assess your tolerance before starting your twice per day usage. How much does 310 Shake cost? It's fairly expensive, that's for sure! If you plan on using it twice per day like the instructions suggest, you will end up spending roughly $135 per month which is quite a lot of money… at least in my honest opinion. Some people say it does, some say it doesn't. Considering its ingredients, I believe it most likely will sooth your hunger, but other than that, I'll need further scientific evidence to make a good verdict. I have to say they have the worst customer service and shipping problems. The products themselves are overpriced for the chalky flavors they carry, as for the tea and lemonades in my opinion have a bad aftertaste as well. 310 shake a bunch of scammers they take your money and don’t deliver your stuff then tell you to go through this long drawn out process to get your money and telling you to return the crap you never got! Bogus company! Just tried not a big fan of the taste real bad after taste on Vanilla and Chocolate ? The after taste is the Stevia sweetner they put in it. It is kind of hard to get past. Accelerin Review - Beware of Scams! Level 1 Review – Are You Ready For The Best Protein Mix On The Market?